Vivien Simpson joined HTASC as a Lead Teacher of students in grades 2-4 in October, 2017. 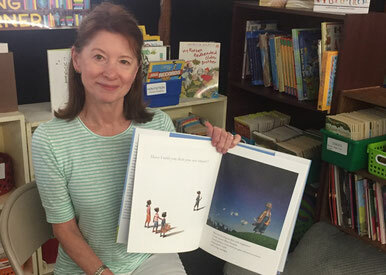 Prior to that, she had 25 years of experience as an elementary classroom teacher of grades 2,3 and 4 in Westchester County. Vivien has a Masters of Arts in French from St Andrews University, Scotland and a Masters in Teaching from Manhattanville College in Purchase, NY. In her spare time Vivien loves reading, cooking and any outdoors activity. She is thrilled to join HTASC as Program Director and her passion is to inspire and help all children to be their very best selves both academically, socially and emotionally. Childhood Education (Grades 1- 6). Ms. Brands enjoys working with the young learners in kindergarten, 1st and 2nd grade because she feels that their enthusiasm for learning is contagious! 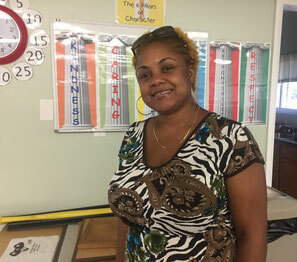 She is thrilled to work with Kindergarten, First, and Second Grade students at the Harriet Tubman Academic Skills Center for the fifth year in a row! Kacy Ann Windet was born in Jamaica and has a B.A in Education. She enjoys traveling, reading and cooking. Teaching has been a passion for Kacy for over seventeen years. Her mission at HTASC is to create a stimulating classroom environment that will instill and enhance a lifelong love of learning among her students. She is thrilled to be a part of the supportive and creative team at HTASC and is looking forward to introducing enriching activities that focus on creativity, exploration and fun!